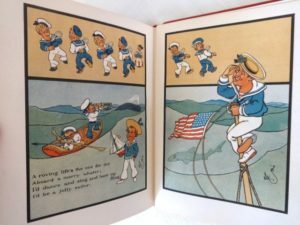 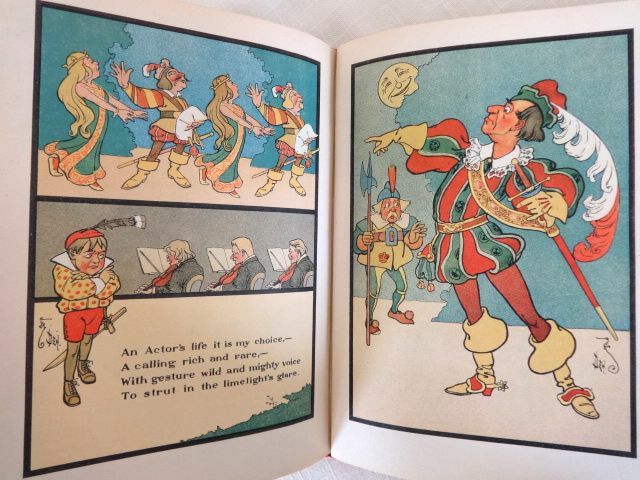 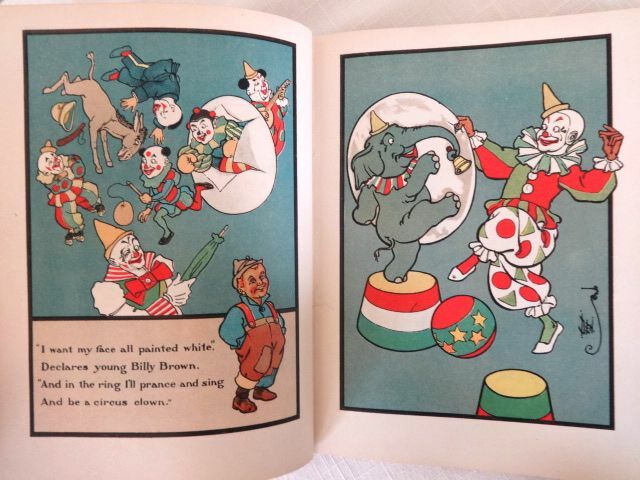 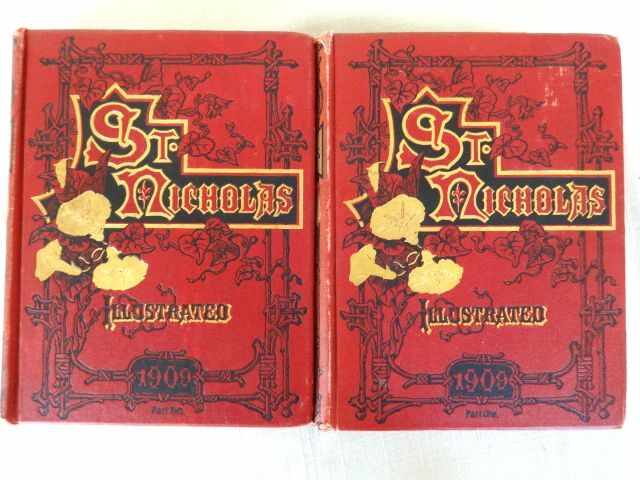 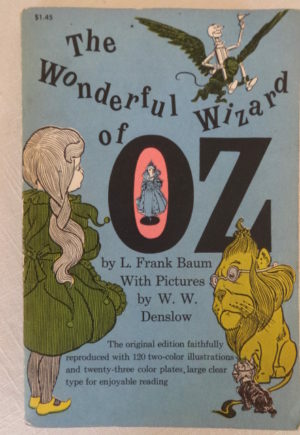 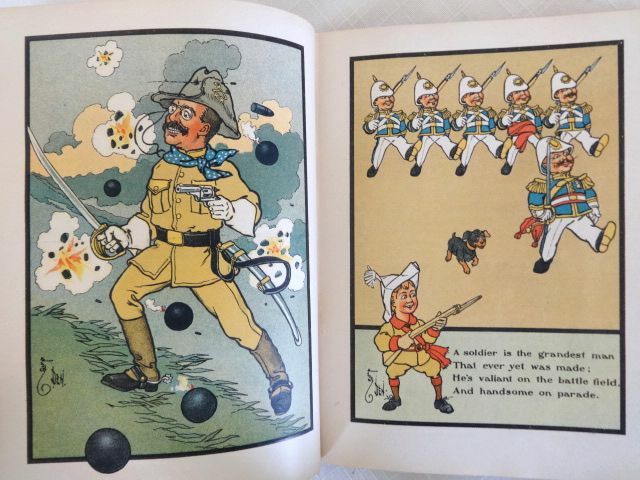 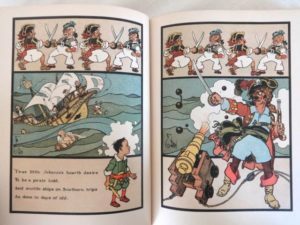 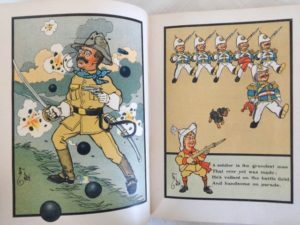 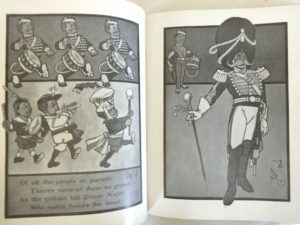 Here is a two-volume bound collection of St. Nicholas children’s magazine, Nov 1908–Oct 1909, containing 14 installments of one of Oz artist’s W.W. Denslow’s well-known works: When I Grow Up. 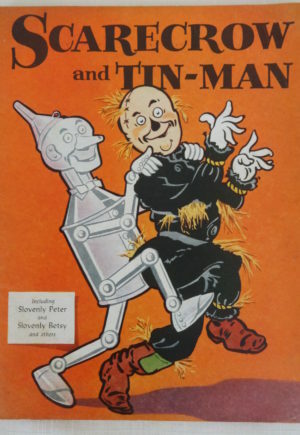 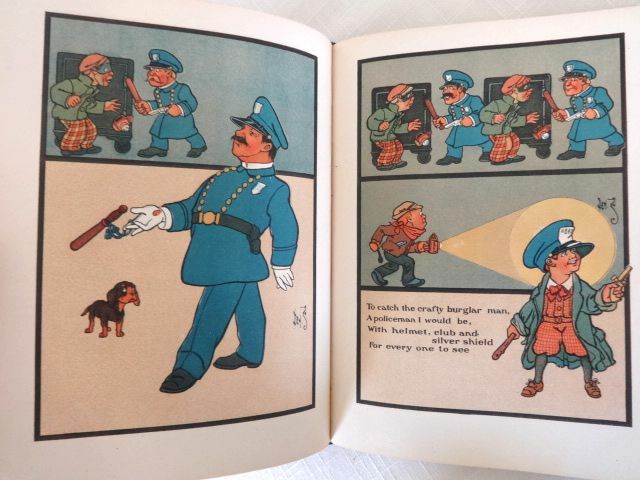 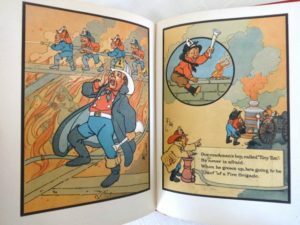 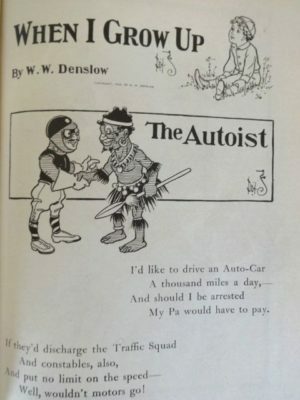 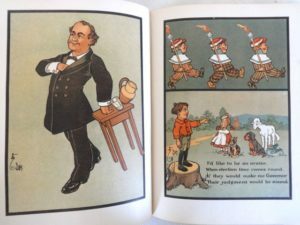 Each of these are 4-page stories depicting various professions with some of the best of Denslow’s trademark humor and art. 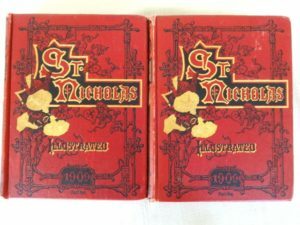 Included are Volumes XXXV and XXXVI (Parts I & II), published by the Century Co and bound in attractive red and gilt bindings. 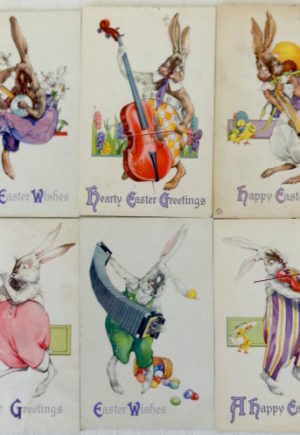 Twelve of the vignettes are in color, and two in black and white. 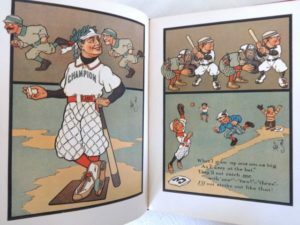 Some of the works include The Hunter, The Orator, The Drum-Major, The Soldier, The Policeman, and one of his most famous, The Baseball Player. 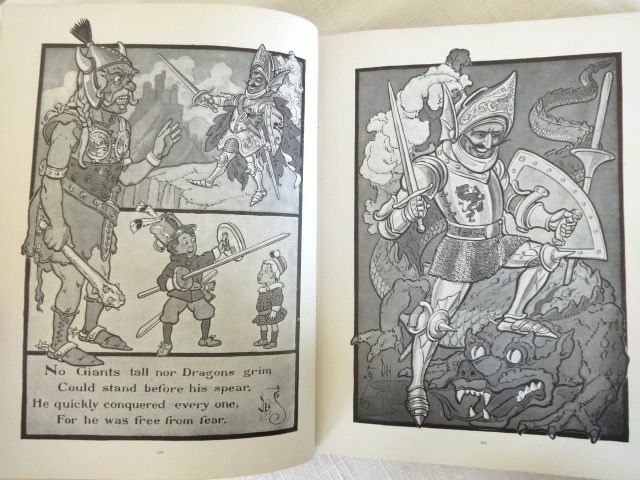 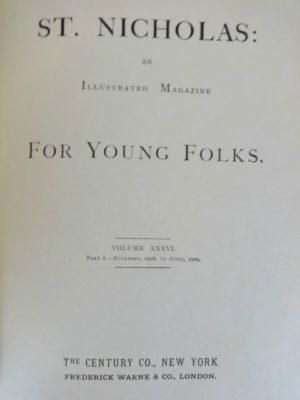 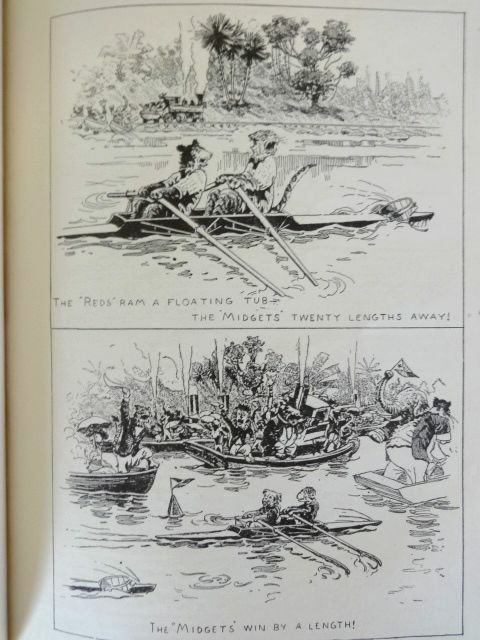 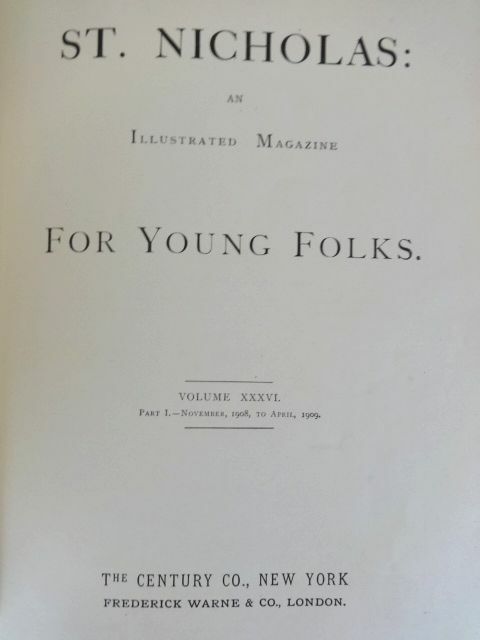 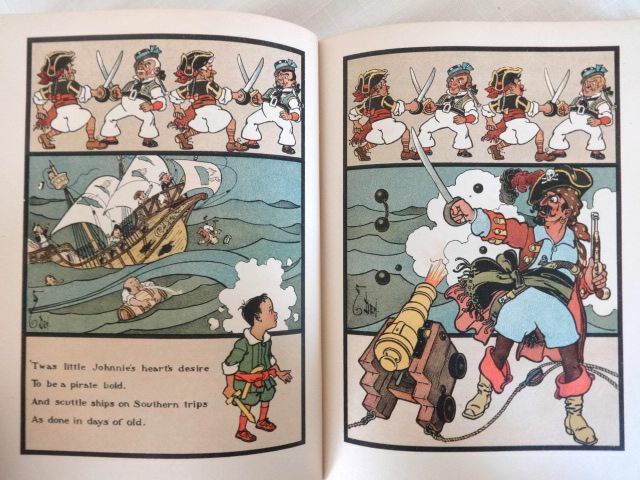 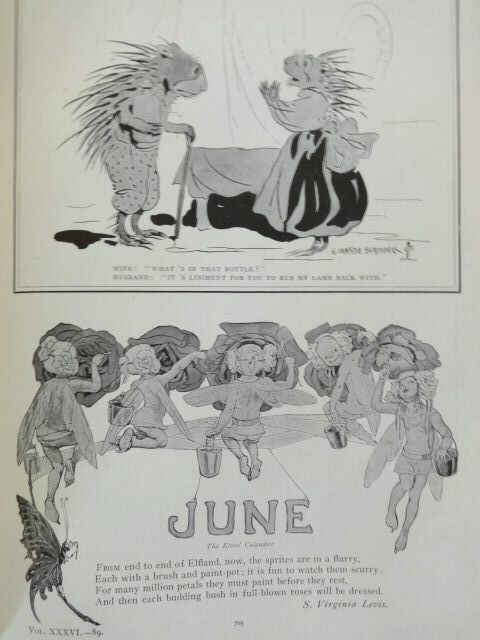 These issues also contain many other children’s stories and illustrations, a few examples shown in the photos. 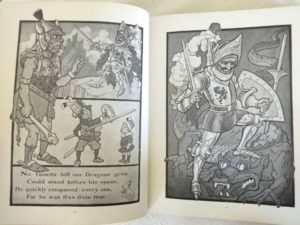 The bound books are in good overall condition, with some wear to bindings, one volume with 2 pages taped in, and occasional soiling. 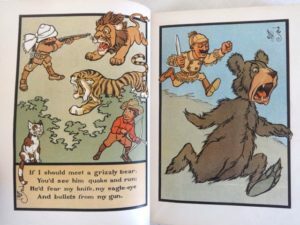 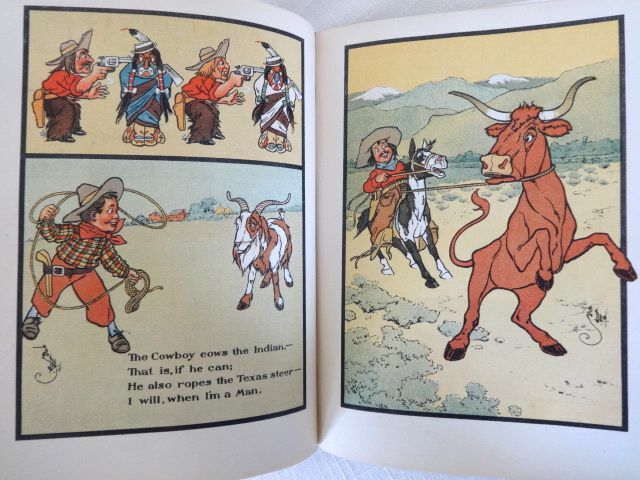 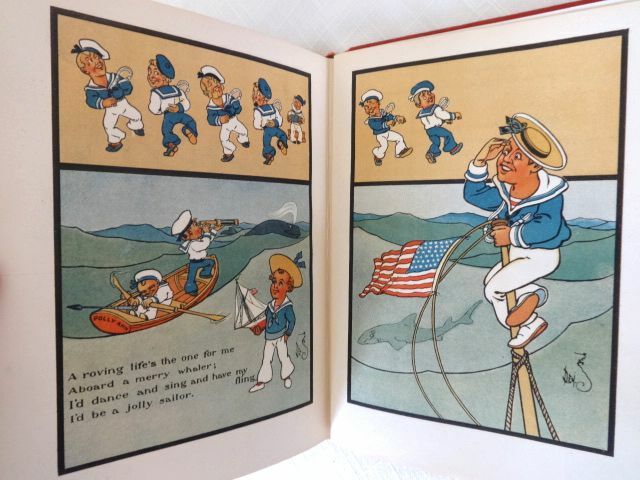 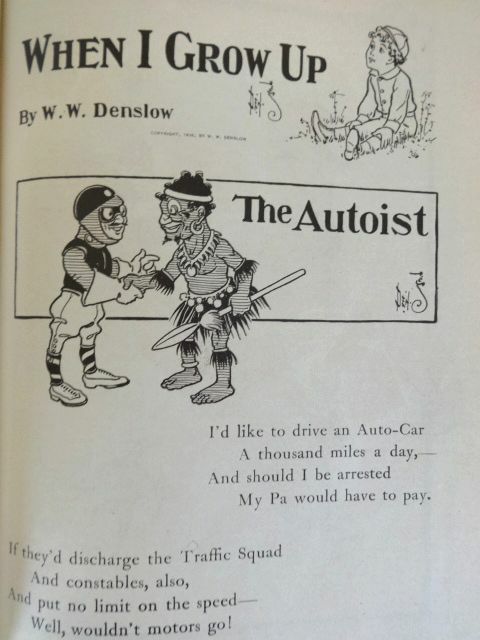 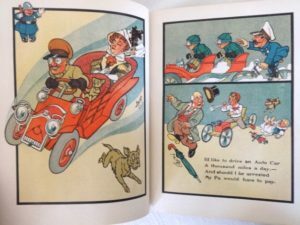 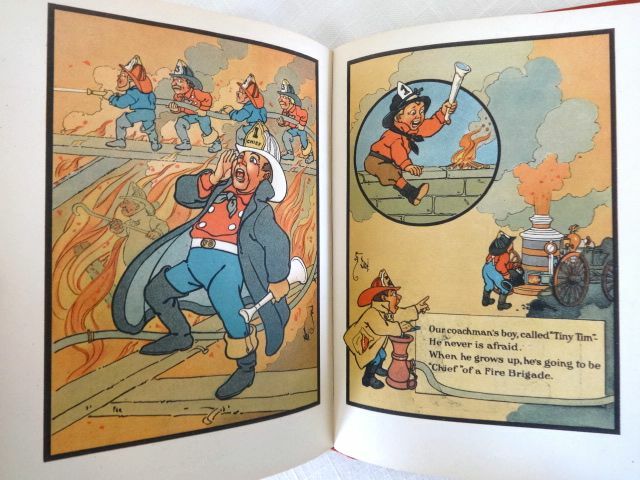 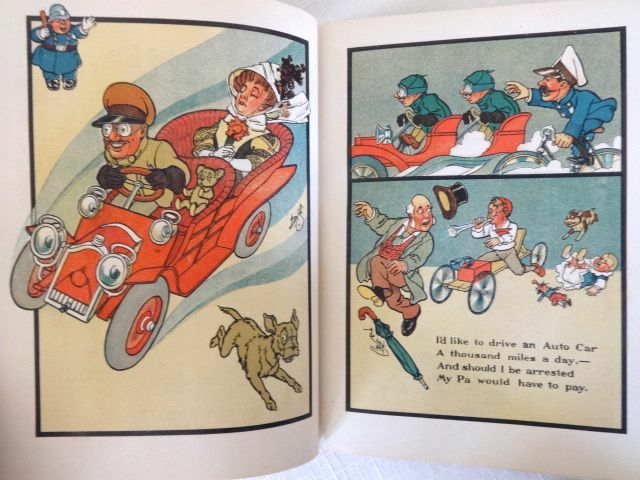 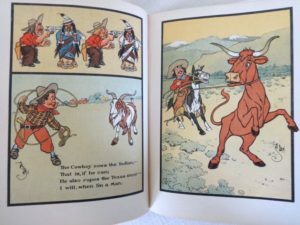 The Denslow pages are all in very good condition. Beautiful gold decorated endpapers. 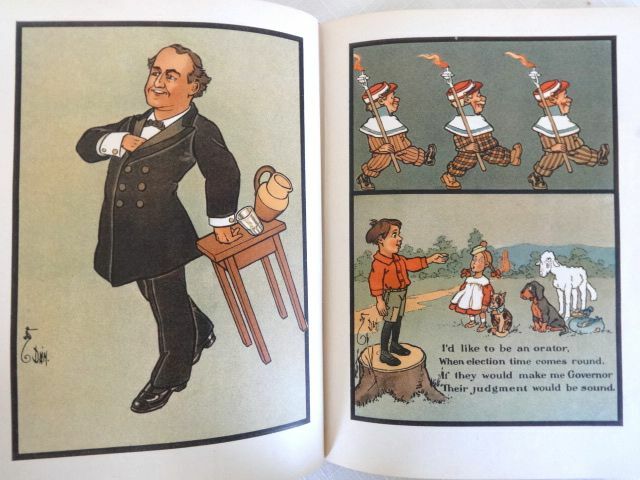 A nice opportunity to get multiple classic Denslow works in one fell swoop.